If elderly tenants decide to move to a retirement home, then they will be effectively foregoing their lease. 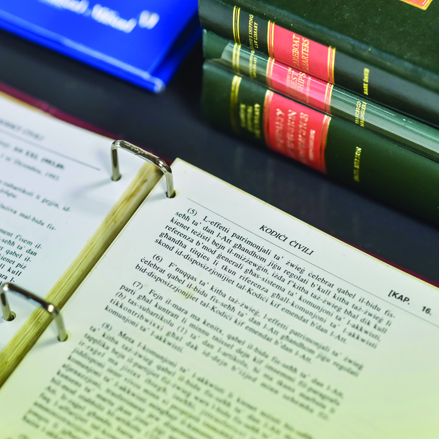 This was held in a judgement delivered by the Rent Regulation Board on 26 March 2019 in Anna Maria Falzon, Josephine Borg, Raymond Borg and Carmel Borg -v- Paul Sant, Felica Sant and Miriam Sant. In this case the plaintiffs explained in their application, that they are owners of a property in Marsa and that the tenants Paul and Felica Sant, moved out to live in a retirement home and therefore, it is no longer their residence. Their daughter is occupying the premises, but does not have a title. The property is in need of urgent maintenance. The plaintiff asked the Board to order the defendants to formally vacate the premises. The Sants replied to the application by stating that the application is null because the application did not mention the expiry date of the lease. They denied that the property was abandoned and claimed that they are in the retirement home on a temporary basis. Magistrate Dr Josette Demicoli, who presided over the proceedings, analysed the evidence. The plaintiff, Anna Maria Falzon testified that the property was, in fact, first rented to Felica Sant’s father, Carmelo Schembri. When Felica married her husband moved in. In June 2015 Paul and Felica Sant moved in a retirement home and therefore, the plaintiffs asked for the keys of the premises. Miriam Sant started to deposit the rent in court. The witness told the Board that she went a number of times to the property and did not find anyone there. She also noticed that there were damages to the house. In fact, the property is overlying a complex of garages and the tenants of the garages complained of leakages from the Sants’ residence. This version of events was corroborated by the testimony from other plaintiffs. The plaintiff showed that in the electoral register of April 2006 Miriam Sant was registered on the rented property. Miriam Sant testified and confirmed that she lives in the said property on her own since her parents went to live in a retirement home. She confirmed that she works and earns the minimum wage, but there was a time she had financial difficulties after her separation. Magistrate Demicoli examined the first plea dealing with the expiry date of the lease which was not mentioned in the application. However, the Board pointed out this action is asking the Board to terminate the lease and not relocate the tenants. Therefore, the expiry date of the lease is not required. With regards to the merits of the case the Board pointed out that there are two principle issues. The first is whether the lease is terminated since Paul and Felica Sant are now in a retirement home and secondly whether Miriam Sant has a right to occupy the property in terms of Articles 1555A and 1531F of the Civil Code. Article 1555A states that if the rented property is not used for more that 12 months then it is deemed that the property is wrongly used. If the tenant, before 1 June 1995, is admitted to a retirement home then the property is transferred in accordance to Article 1531F. From the evidence produced Paul Sant passed away during the proceedings, and Felica Sant is 77 years old. They were admitted to the retirement home on 30 April 2015. Paul Sant was in a wheelchair and both needed constant care. The Board could not verify this, however, a representative of the retirement home explained their condition. The Board discounted what Miriam Sant held, that her parents can return home and she would take care of them. Article 1555A (2) of the Civil Code, indicates that since the original tenant was Felica Sant’s father, then this made her the tenant. Upon Felica’s death Miriam Sant may be recognised as the tenant. Article 1531F of the Civil Code states that the lease terminates upon the death of the tenant, however, this will not take place if the tenant’s children would have lived with the tenant for four years from five years before the death. The law provides for a means test. It is the person claiming a right over the property to prove that she qualifies. There is a distinction in the law between children living with the tenants before 1 June 2008 and those after 2008. In the first instance they must live there with the tenants for four years of five years. If after 2008, then they must live with the tenants until their death. In this particular case Miriam Sant is claiming that she went to live with her parents in Marsa in October 2005 and remained there. Therefore, she lived there for three years before the 1 June 2008 and therefore she does not qualify for the means test. In terms of Article 1531F of the Civil Code, Miriam Sant would have a right to remain in the property for five years and there should be an increase in rent by double the amount. The Board ordered that the lease is terminated, but Miriam Sant is to reside in the premises for a term of five years.